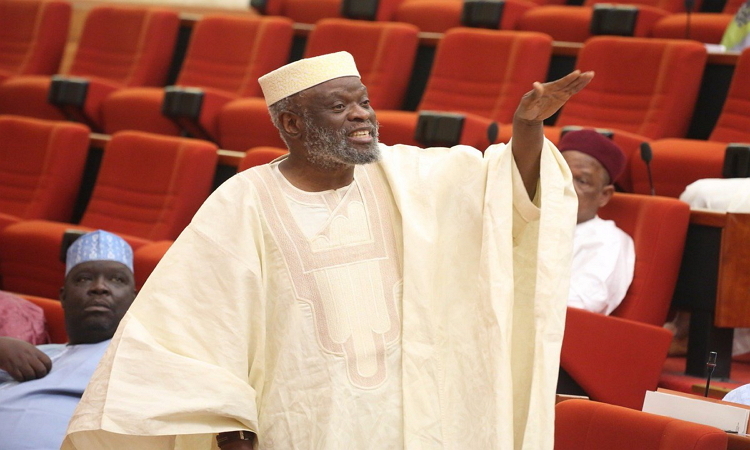 SENATOR Olusola Adeyeye, representing Osun Central, has described as arrant superstition and delusion those notions that the unity of Nigeria is not negotiable, noting that the nation’s disintegration could be the much-neglected solution to the various challenges in the country that point to a failing nation. According to Adeyeye, the country had remained under an undeclared civil war going by constant conflict, self-destruction among tribes, overbearing centralism, chaos, inefficiency, underdevelopment, its lack of a truly federal system and operation of an abnormal structure. Adeyeye made these assertions as a guest speaker on the topic titled, “Averting the Approaching Gales” at a Public Lecture and Endowment Fund Launch in honour of Dr B. G. K. Ajayi and Ibadan Medical School at 70, held at Paul Hendrickse Lecture Theatre, University College Hospital, Ibadan, on Wednesday. Adeyeye, who bemoaned that the country treated the prediction by the America Intelligence Agency that the nation will disintegrate as child’s play, said it was high time Nigerians, of all tribes, met to discuss the terms of their coexistence. He gave instances of countries like India, Pakistan, Croatia, Russia, who were better off after disintegration, noting that the nation may attain its desired self-realisation and development if the constituents had a peaceful negotiation on whether they wanted to remain a part of the entity called Nigeria. If the country was to work, Adeyeye, at the event chaired by Professor Oyinade Olurin, also stressed the need for the evolution of a truly federal system to bring down “overbearing” centralism which he said was the reason for the inefficiency of the federating units, and Nigeria, as a whole. “Our republic creeks and moans from the gales that precariously dangle on the precipice of disintegration. For quite a few years, we have been under an undeclared civil war. “The breakup of countries is nothing strange. It is arrant superstition to say the unity of Nigeria is non-negotiable. Examples abound in the world where unity became inimical to peace and progress and the citizen summoned the wisdom and courage to say enough is enough. “Let no one deceive you. What we are seeing are the tell-tale signs of a failing nation and a failing nation ultimately lead to dismemberment. We can pretend it will not happen in the name of Jesus Christ or Allah. Problems are not solved because we ignore them. “The American prediction of our disintegration has not come true but we will be suffering from delusion induced astigmatism, cataract, myopia, glycoma if we pretend that it is too late for Nigeria to break up. It is not. The Soviet Union comprised of one strong group, that is Russia, which accounts for 80percent of the economy and military power, and yet, in the fullness of time, when the weight of internal contradiction could not be born anymore, the Soviet Union collapsed like rotten papaya. “Rather than allow that happen to Nigeria, we should convince ourselves that we should meet around a well-furnished mahogany table to discuss the terms of our coexistence, whether we want to be together or not. Let us discuss whether it is worth it to save Nigeria from disintegration. “We cannot be in a big entity where we self-destruct one another. You need the freedom to use your God-given talent to be the best you can be. History has shown that the stupendous leap in progress by India and Pakistan has not been limited to military technology and strength. They have made great progress in technology, healthcare, agriculture etc. “If we were to attempt to have a national language, people will talk about Hausa, Igbo and Yoruba, the onus will be on us to adopt Itsekiri or Tiv so that arrogance of the major tribes will not be there. “We don’t have to be afraid that as fellow human beings we can meet and agree that for us to have peace, we can go our separate ways. “No president, king or emperor will make Nigeria work until we evolve a truly federal system. Nigerians rulers have ruled us with an overbearing centralism that has created so much inefficiency, chaos, and underdevelopment. “Somehow, we must find a way to return to a true federal system. We must do whatever we need to do to make Nigeria work. Why should a person in Ibadan have to go to Abuja to register a business? We must find a way to stem the gale of the abnormality of our structure,” Adeyeye said. Addressing the raging issue of adopting ranching as the means of livestock rearing and production in Nigeria, Adeyeye argued that ranching was the way to go, such that everyone with enough funds could start their own livestock business, anywhere in the country. Share this news with a friend if you like it!